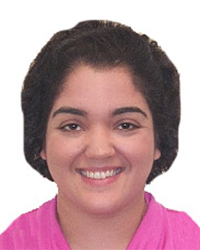 Dr. Faradj-Bakht has been a practicing occupational therapist for over seven years. She graduated from the University of Maryland, College Park with a bachelor’s degree in Psychology. She continued her education at the University of St. Augustine for Health Sciences with a Master of Occupational Therapy degree. She completed her doctorate in Occupational Therapy from Rocky Mountain University of Health Professionals as a stepping stone in her academia career. Dr. Faradj-Bakht’s clinical practice and interests are focused on animal-assisted therapy, health/wellness, diabetes management, geriatric care, PTSD recovery and veteran advocacy.